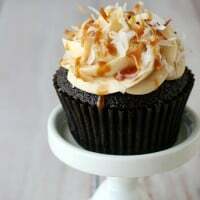 Attention lovers of sweet & salty!!! These Snack Lovers Krispie Treats are crispy, chewy, sweet, salty and simply AMAZING! Ok, before you look at the ingredients list here and call me crazy… just go with me on this for a minute! 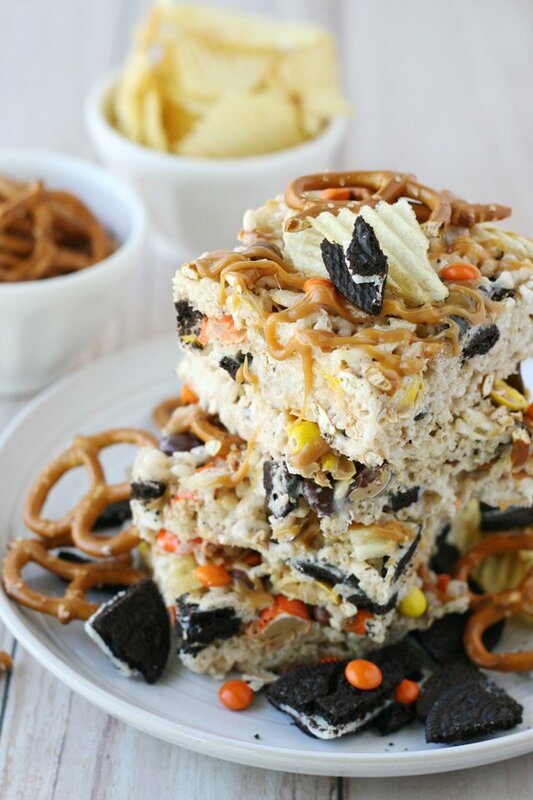 I had a friend over when I first made these snack filled krispie treats and when I got to the chips (yes, chips!) I know my friend thought I’d lost my mind! But, she reluctantly tried a slice… and instantly understood my genius! =) She declared these crazy treats the best Rice Krispies Treats she’d ever had! 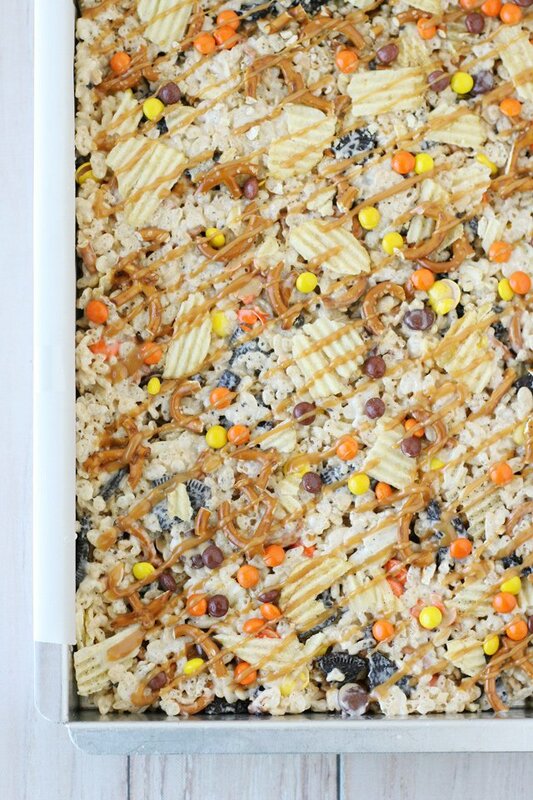 These yummy krispie treats would be perfect for a fall or Halloween party, and they’d even be a great way to use up some leftover Halloween candies! 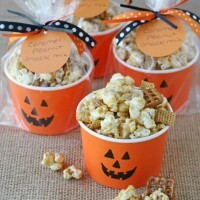 But you don’t have to wait until you’re having a party to mix up a batch of these crazy delicious treats! 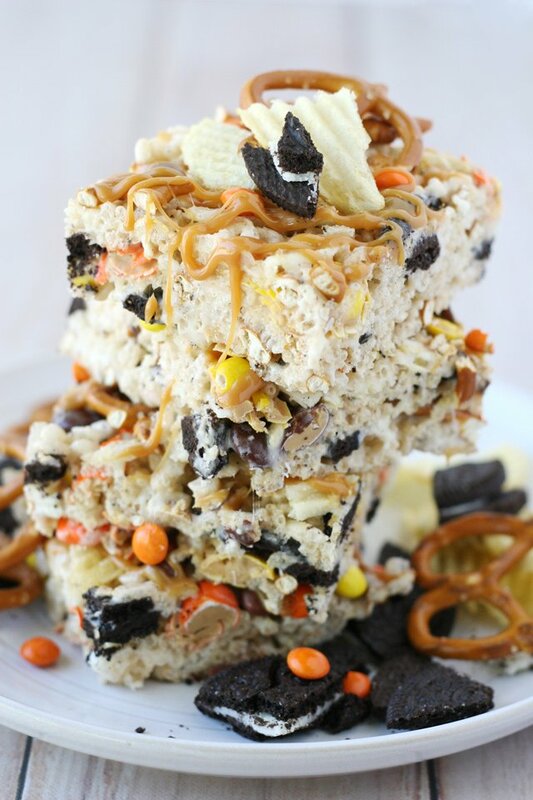 These Snack Lovers Krispie Treats hit all the right notes… sweet, salty, chewy, and crispy! Now, I fully acknowledge that this recipe is filled with lots of beautiful “junk”. 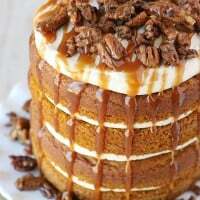 So, feel free to have a big salad for dinner so you can enjoy a couple of these for dessert! Sweet, salty, chewy, crispy... these treats have it all! Prepare a 9”x13” baking dish (glass or metal) by lightly spraying with cooking spray (or rub pan with a bit of butter). 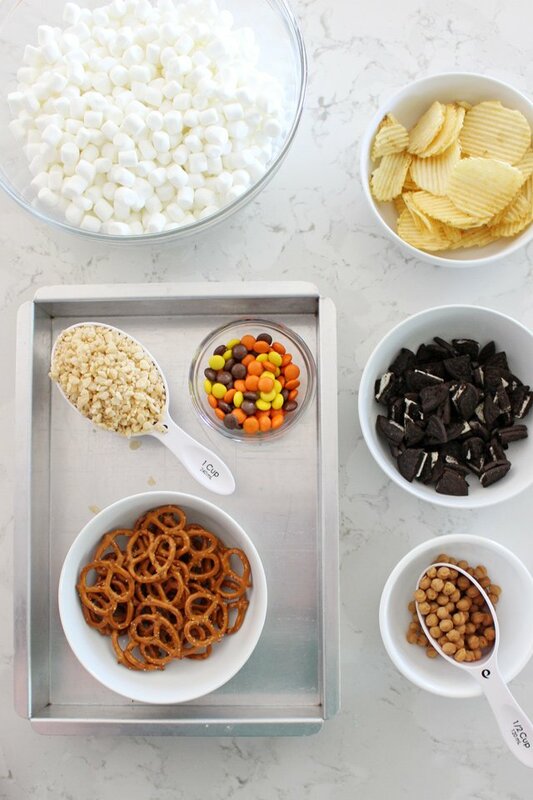 Prep (chop & measure) all dry ingredients, then add cereal, oreos, pretzels and chips to a large bowl. In a separate large (microwave safe) bowl, add the marshmallows and butter (chop into a few pieces). Microwave the butter and marshmallows 2-3 minutes until the marshmallows are super fluffy and melty. Spray a rubber spatula slightly with cooking spray, and then quickly stir the butter and marshmallows until combined. Pour melted marshmallows over bowl of dry ingredients and stir quickly to combine, while the marshmallow mixture is still warm. Once combined, add about half of the reeses pieces to the mixture, then stir. Pour/scoop mixture into prepared pan, and press into pan as needed. Immediately, sprinkle the remaining reeses pieces over top and gently press down just a bit if needed. Add a few pretzel pieces and a few broken chips on top, as desired, and gently press down to adhere. Set aside to cool (at least 15 minutes) before cutting. Enjoy! 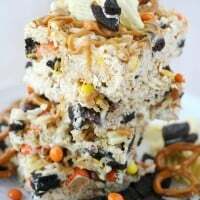 Love Rice Krispie Treats? I have a bunch of delicious variations on my BROWNIES & BARS page. I don’t need to look any further for something to take to the office pot luck coming up in a couple of weeks! ! ! ! 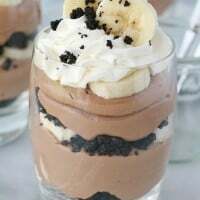 Dessert . . . done! É uma mistura maravilhosa de coisas que amo de paixão a batata então nem se fala, desse jeito não tem como permanecer na dieta parece muio bom.